Huber & Fuhrman Drug Mills Fond Dulac, Wisconsin - Established 1864. Catalog of Crude, Ground and Powdered Botanic Drugs -- Nov 1, 1913. 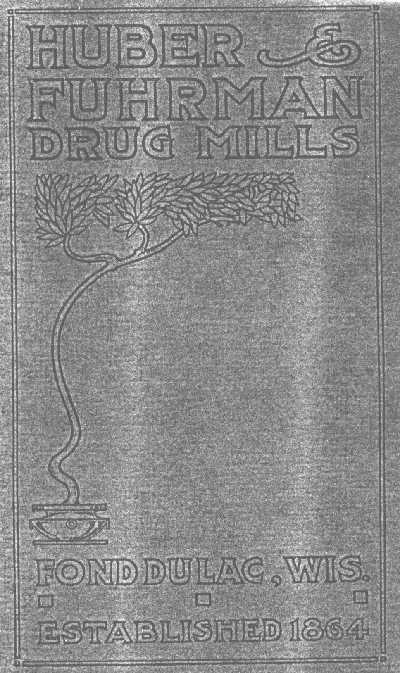 What is a Drug Mill? To our knowledge, no one really seems to know. The name ‘Mills’ [such as in a wheat mill, or flower mill etc. ], implies some kind of grinding process. And the name ‘Drug’ implies that instead of food products, these firms were grinding or milling herbal plants. Ok, Ok, big deal, but there is a small difference between a Drug House (which were mostly Export/Import businesses), a Drug manufacturer etc. But granted for our purposes, we can ignore the difference. Here this firm not only sold bulk Cannabis Indica, but also in its powdered form.